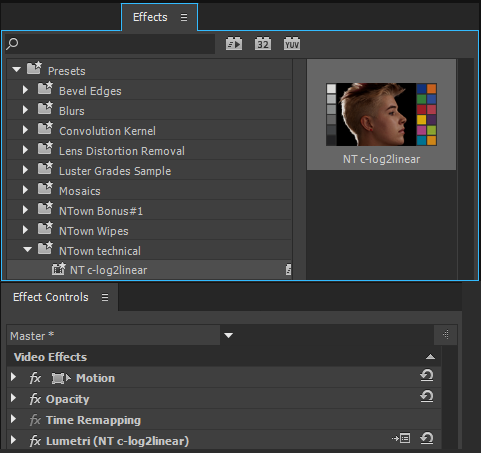 Effects preset for Adobe Premiere Pro & Speedgrade to set a Canon c-log recorded video to linear luminance space as it would be when graded. Premiere Pro & Speedgrade c-log to linear luminance correction effect preset. Preset for Premiere Pro and Speedgrade to set lumincance distribution from a canon c-log curve which has a logarithmic luminance distrubution curve back to a linear as it would look like when it has been corrected by a colorist. 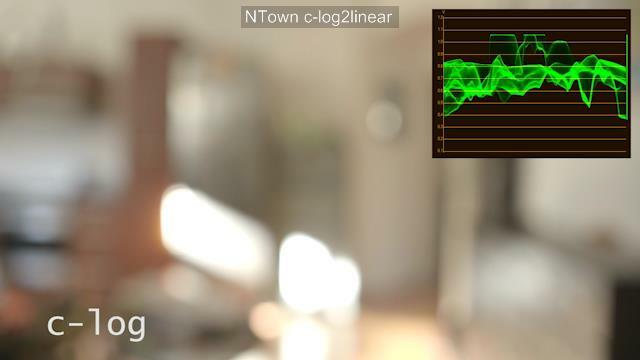 This is not a c-log to REC.709 conversion. The effect preset brings down black level shortly bevore it is crushed and the white level is set down to 100% in order to bring back lost highlights which would be in the invisible 101-110% luminance range. This presets are targeted to productions with no or not much grading budget/time or people who do not want to bother with grading but want to benefit from a c-log recorded material from the Canon Cinema camera range. The package includes two presets, one for Adobe Premiere Pro and one for Adobe Speedgrade. then import the preset file “NT_c-log2linear.prfpset” from the extracted zip archive. or directly drag & drop the looks file from the desktop to a clip in your Speedgrade Timeline. To modify the effect you need to load the sequence in Adobe Speedgrade and change the parameters of the primary correction node there.